The Attendant puts the Skype for BusinessSkype for Business (formerly Microsoft Office Communicator and Microsoft Lync) is an instant-messaging client used by Anywhere365. In order to use SFB, a Microsoft Skype for Business Server is required. Skype for Business is enterprise software; compared to Skype, it has different features that target businesses. client in suppression mode. This means the Skype for Business client SDK is still running but the user is seeing the Attendant GUI. Technically it is possible to run both clients at the same time. This can lead to confusing scenario's (2 call windows for the same call) and we advise to only use this for debugging / testing purposes. You will get a pop-up to switch to the Attendant or run both clients. When you click continue the Skype for Business client will close and you can continue using the Attendant. After closing the Attendant the Skype client will start again. Skype for Business will start for a few seconds in the background and you can continue using the Attendant. Skype for Business not running and Attendant already run before. The Attendant will start without any additional notifications or actions. Both the Skype for Business client and Attendant will be open and can be used. The Skype for Business client will start with the Attendant client and both can be used. In all above scenario's you can use the Skype for Business client after you close the Attendant. In some cases it is necessary to switch back to the Skype for Business client. For example when the Skype for Business settings need to be changed or when a different user should log in to the Attendant. Switching back can be done by disabling the suppression mode. Suppression mode will be turned on automatically when installing the Attendant, and it suppress the LyncMicrosoft Lync (formerly Microsoft Office Communicator) is an instant messaging program designed for business use and is the successor of Windows Messenger. In order to use Lync, a Microsoft Lync Server is required. client from starting up. 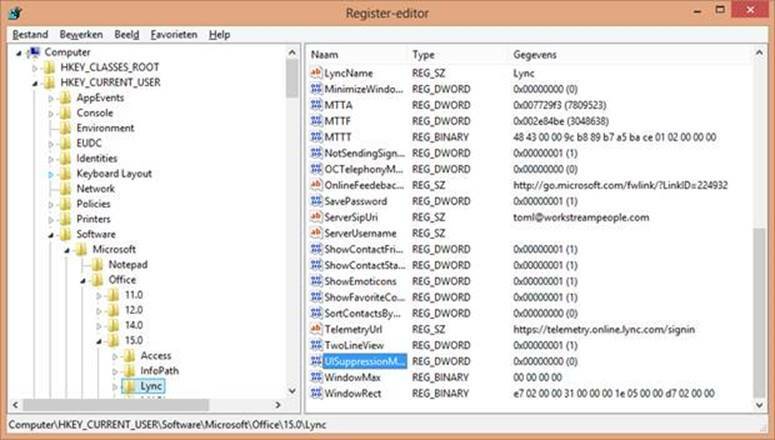 If Lync doesn't start, make sure all Lync processes are terminated from task manager. If the Skype for Business settings have been changed and the right person logged in, the suppression mode should be enabled for the Attendant to work properly. The Attendant should start properly once the application is launched by clicking the startup icon.